I'm so enjoying doing the study Fit For My King with my sweet Friend, Ms. Barb. I'm gleaning so much more reading it through and jotting down notes the second time than I did the first go-round. It's so important in everything that we do in this life to have an accountability partner. Left on our own, lots of excuses will be made to just give up or take a day off or whatever we tell ourselves at any given moment. As I was reading yesterday's devotional, this verse of scripture stood out to me. I looked it up in the NLT and loved how it was worded in that version because it used the word "friend". 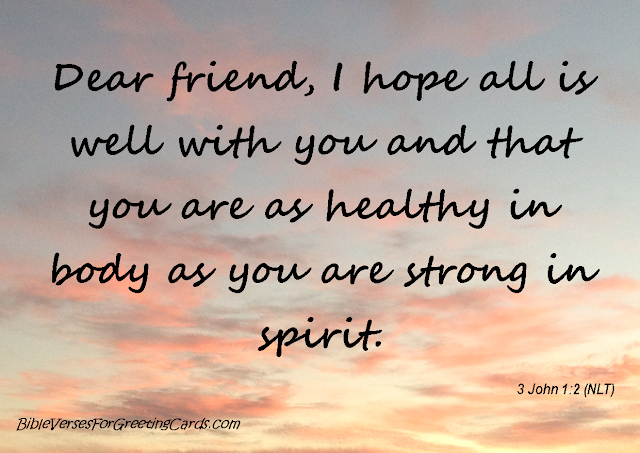 This is my prayer for each and every person who visits my blog, leaves a sweet comment here or on Facebook, sends me a personal e-mail, whatever you do that brings a word of encouragement to my heart and soul. I sincerely HOPE you have a Marvelous Monday chock full of blessings! What a lovely sentiment. Thank you! Have a wonderful Monday sweet lady! And I return that prayer to you. ((hugs))and blessings sweet lady. Thank you for the thought. Friends are so precious! Have a blessed day. I really like that translation of that verse. Thanks for sharing it today. I pray the same for you. It may already be Wednesday before I am reading this, but the blessing is still there and I thank you for it. We are trying to rest this week after a grueling weekend with my 93 yr. old mother, who has dementia. Making decisions regarding her care, and trying to keep our own minds and spirits healthy in the process. Thank you for these words.